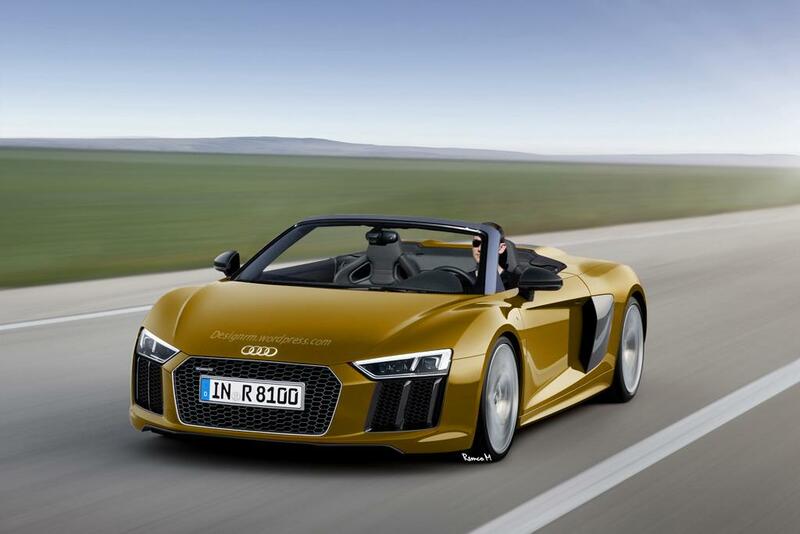 2015 Audi R8 has suffered major changes. Serious work has been made by Independent artists RM Design and X-Tomi Design that have changed the car’s aspect turning it into a Spyder. 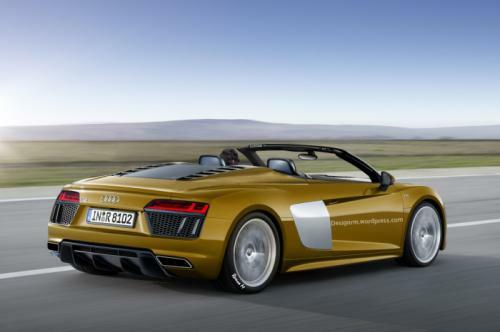 Most likely such a variant of the R8 will be available in two years time. Future plans include also a new entry-level version that has a V6 engine that offers no less than 400 bhp (298 kW), a TDI and a plug-in hybrid model. No only this but producers are thinking about expanding the line to include Superleggera, GT and Clubsport versions if there will be any requests on the market. As it is known by now the original model, the Audi R8 will make it’s public debut at the Geneva Motor Show scheduled in March. The car will be available in no less that three different versions. Drivers that dream of owning the R8V10 will have to pay no less tha €165,000 while those that want to purchase the Plus version will neen no less than €187,400. Producers have kept the third varinat, the e-tron, a secret as so far no details on the price of the car have been disclosed. 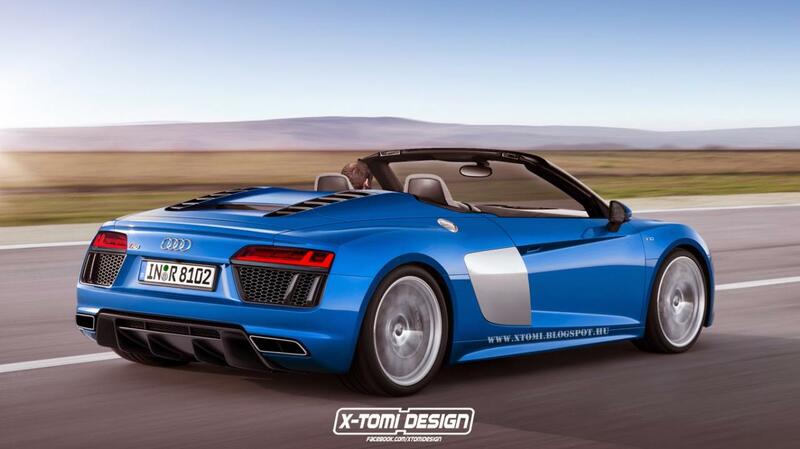 This entry was posted in Audi and tagged 2015 Audi R8 Spyder, Audi, R8, Rendered, spyder. Bookmark the permalink.